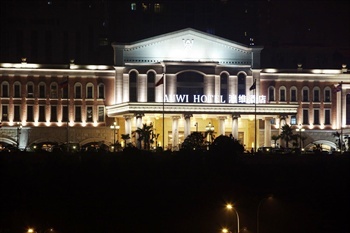 The Auwi Hotel (Aowei Jiudian) sits a 30-minute cab ride from the Jiangbei International Airport. At the on-site restaurants in this Chongqing hotel, guests can enjoy not only Cantonese and spicy Sichuan dishes, but also foods of international flavors. Additionally, various drinks are served at the on-site bar. Event planners are invited to make full use of function rooms and the business center available in this hotel. Furthermore, the professional team is ready to offer help.